Accu-Cost Construction Consultants, Inc., established in 1993, is certified as a Women Owned Business Enterprise (WBE), Disadvantaged Business Enterprise (DBE), and a Small Business Enterprise (SBE). Located in New York City, we offer Cost Estimating, Value Engineering, Change Order Analysis, Cost/Bid Analysis and Constructability Review. 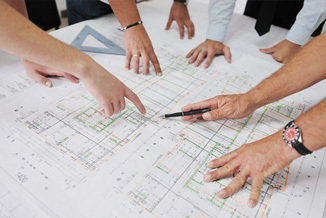 We have built our experience from numerous years of hands-on involvement delivering comprehensive and detailed estimates. The extensive experience gained through-out the years has proven that you cannot offer "cookie cutter" solutions. We know each project is unique, we take time to understand our client's needs and we address them accordingly. In an ever-changing marketplace, we remain an industry leader through our attention to quality service. Why choose AccuCost? The construction field productivity data we have established over decades enables us to provide realistic costs and estimates even when working with limited information. We know this is especially important at the early stages of the project. Our volume of projects provides a current knowledge base of fluctuating market conditions. We are in constant contact with material vendors, suppliers, construction managers, contractors, and specialty consultants allowing us to be a catalyst to our clients on the industry's pulse. 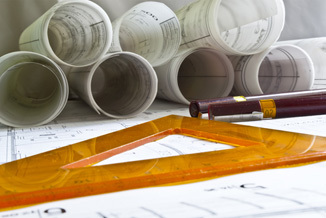 The principals of AccuCost bring together a knowledgeable staff of professional cost estimators consisting of all the construction disciplines: architectural, structural, civil, mechanical, and electrical. Our team consists of licensed engineers, many with field experience, who bring their expertise to each project they work on. Our team consists of seasoned industry professionals who pride themselves on providing quality services. Patricia Neumann, CPSM is Chief Executive Officer and President of the firm. Patricia has 25 years of experience in marketing and management of professional service firms. She provides leadership and business management for the company. Patricia is involved in many industry associations and is Past President of the New York Chapter for the Society for Marketing Professional Services. Edward Mermelstein, Chief Operations Officer and a founding principal of the firm leads the estimating staff. Ed brings over 40 years of cost consulting experience to the firm providing insight, expertise, and knowledge of the construction industry.